Do we have something similar for Creating objects? 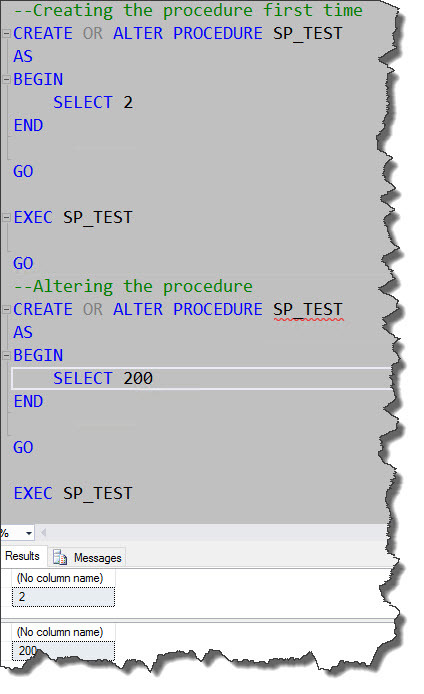 The good news is that we have “CREATE or ALTER” in SQL Server 2016 to address our long waiting requirement. However, this will not be available in RTM, but only from SP1 and above. Here is a small script to demonstrate the same. Note: This can also be used for Functions, Views and Triggers objects as well.